With most of the mechanicals taken care of, I began working on the interior. The Jeep was not well taken care of, supposedly it was a 2 owner jeep (carfax verified), and both owners in the same family. 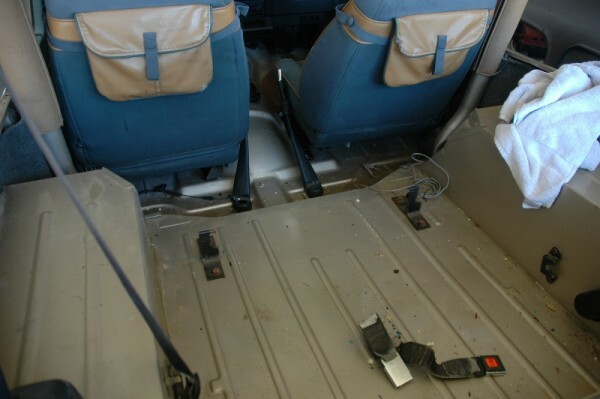 Obviously this family doesn’t take care of it’s vehicles… I took the whole interior out except the front seats, and gave everything a good cleaning. 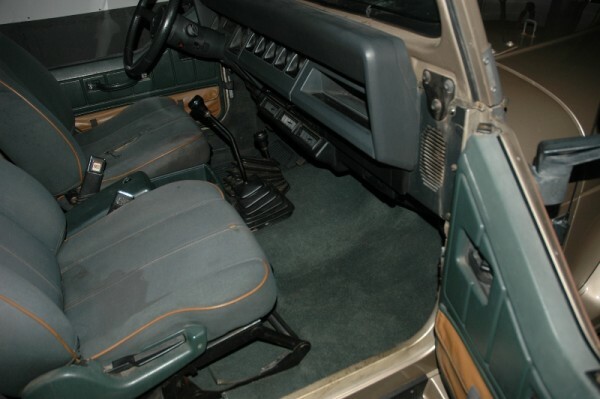 Here the interior is out, and the filth is obvious, look closely and you see the stains on the front seats and the damage to the pockets. The Previous Owner had described this as, “excellent interior, except one rip in drivers seat” Yeah Right! That rip was bad! Not to even mention the rest of the issues.. 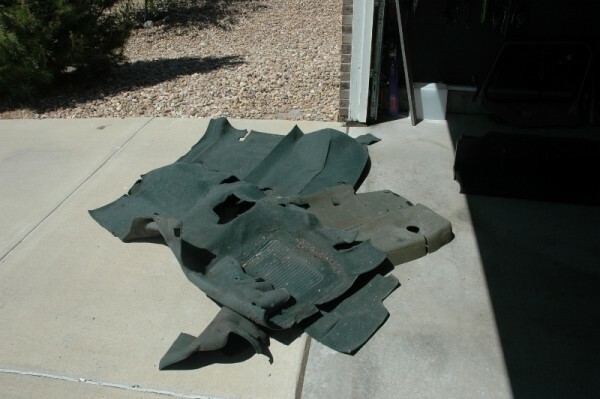 So not only was it ripped, but it had already been repaired once, and the seat foam was starting to come out of it. Here is the filthy Carpet And here is the Broken center dash bezel. 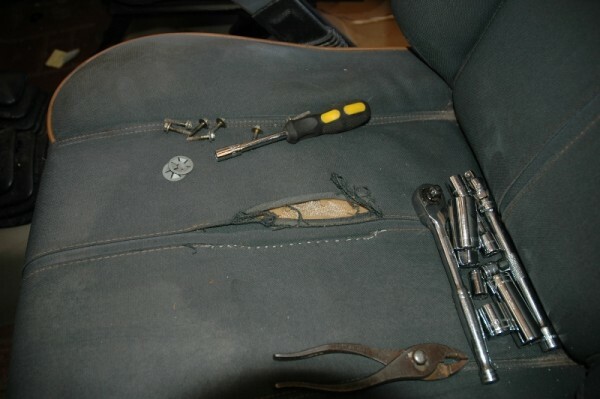 The seats will need more work, and or replacement, as the passenger has burn holes in it, and that rip may not be fixable. My dash bezel is broken in the exact same spot. It was from someone trying to steal the radio while the previous owner had it. Geez, its all of 6 screws to take out… lazy thieves… In High school I had a stereo and EQ stolen from my car in the school parking lot. 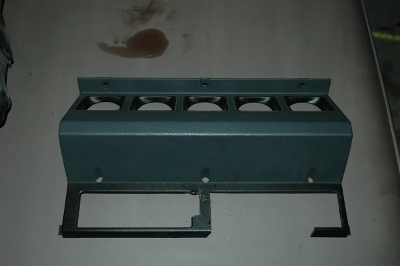 3 weeks later I found 1/2 of the faceplate for the EQ lying in the same parking lot. Obviously the thieves had broken it trying to get it out… jeeesh. Good thing radios are cheap now, and probably not worth anything resale, so they hopefully are not targets anymore.